The development of Daoism throughout the world is in its infancy. Although it has made great progress in surmounting language, geographic and cultural obstacles, the information that is available in non-Chinese languages is still only an extremely small portion of what is available in Chinese. Over the course of 3000 years Daoism in China has developed into a sophisticated practice with many different facets and rich with details; with less than 10% of the Daozang available in English it is obvious that the full potential of Daoism outside of China has yet to be discovered. This paper presents the issues of language, geography and cultural context that challenge the modern definition of Daoism , and argues that the lack of resources available outside China will inevitably change the current definition of Daoism. The more one tries to explain and define Dao and Daoism, the further it escapes from the mind. This reveals the very nature of the Dao- that it is impossible to capture in just one word or even one sentence. “Dao” and “Daoism” are two words which represent concepts so rich and deep that they have be redefined and expanded throughout millennia. The Dao De Jing explains quite plainly that the Dao that can be named is not the true Dao. The myriad metaphors that describe aspects of the Dao convey only key elements of the Dao but are not the Dao itself. The beauty of the Dao is that it is something that must be personally experienced, inviting as many definitions and explanations of Daoism as the people who practice it. 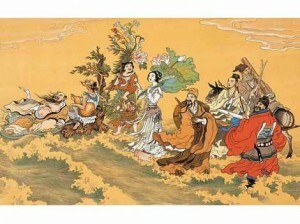 Yet, although the Dao is an individualistic experience, some common elements are found between practitioners and sages; and despite its apparent free-form and elusive verbalization, specific guidelines have been passed down through ancient lineages which clearly define what is considered Daoist behavior. These important lessons are found (and preserved) in scripture. Although this paper will discuss some of the pros and cons of the recitation, and by consequence, the study of scripture, in no way does it aim to answer the more difficult questions the practice raises. Scripture is defined as sacred writing, especially the sacred writings of a particular religion or an authoritative compendium of these. Under that definition, every entry of the Daozang is considered scripture, including the Dao-de-jing, the Zhuang-zi and the various titles popularly studied by both Daoist philosophers and Daoist priests. These commonly accepted examples of traditional Daoist thought, whether they are canonical or not, are the foundation for exploring the definition of the various aspects of Daoism. Some of these are instructions in the ways of living a Daoist lifestyle, others are commandments, others are alchemical in nature, and still others are methods for manipulating the energy of the universe. In all instances, the only access we have to understanding the origin of Daoist thought is through the written word of the ancients and so learning the Dao then becomes dependent on reading the stories, poems, narratives and instructions they’ve left behind. Recitation of scripture is more than just compliance with strict religious protocol. Scripture is the way we learn about what the ancients described as Daoism. Through scripture we learn of which concepts are in alignment with Daoist thought and what concepts are excluded. In other words, scripture is the organized collection of words and thoughts which provide the method for realizing the Dao. We are not born with the knowledge of the Dao, its very existence is learned… As we struggle to communicate via words, to educate and to practice the Way to immortality, our acquired mind depends on those very words and ideas to begin the journey “home” and “return to the source”. Our mind is not capable of simply “returning”, we must practice, learn and unlearn. It is within this context that the practicality of recitation of daily scripture takes a strong presence in the practice of Daoism both “philosophical” and “religious”. Through the disciplined, and sometimes painful, investigation and dissection of our being we discover the truth that sages throughout millennia have understood, we are spiritual beings, and with consistent and constant mindfulness we can discover the fullest potential of our inherent nature. The question then arises of whether or not Daoism is a religion or a philosophy. Scholars, practitioners and philosophers have had long discussions on whether or not there is a difference between DaoJia 道家, commonly translated as philosophical Daoism, and DaoJiao, commonly translated as religious Daoism. Countless hours have been spent debating over what is and what is not Daoism under those two definitions. Within those conversations other questions arise as to whether or not either of these is more valid than the other and whether or not there is one “correct” way that is the “true Dao”. Both “forms” of Daoism ascribe their origins and therefore their validity to ancient teachers who were keepers of special instructions. Proponents of DaoJia disdain the organized and ritual practices of DaoJiao claiming that the formless nature of Daoism is lost in the structure of organized religion. That the instructions contained wthin the Dao-de-jing, considered the definitive source and definition of Daoism, do not include the deification of emotional, environmental or mental qualities. That LaoTzu never intended for people to organize but rather intended for each person to seek the way to return to the source. On the other hand, proponents of DaoJiao claim that purification rituals, worship of deities and chanting are integral pieces of a tradition founded by the TianShi (Celestial Masters) who are themselves considered to be the founders of Daoism. They believe that the method for returning to the source and communing with it, includes internal and external alchemical practices that follow rigid rules and guidelines; and that there are specific rituals and spells that can facilitate union with the primordial. But is either of these practices completely independent of the other? What are the boundaries between philosophy and religion? Where does philosophy stop and where does religion begin? Or are they different ends of a spectrum which ultimately leads to the same goal? Regardless of the categories of Daoism and individual interpretations of Daoism, without the transmission from teacher to student, there is no direction. The element that unites these two apparently different approaches to Daoism is the information passed down from teacher to student throughout millennia. Daoisms’ popularity around the globe is in its stages of infancy. Although its influence is wide and it has started to transcend language and geographic barriers it has yet to reach the rich contextual meaning it has in China. Outside China, to non-Chinese speakers, Daoism is limited. Several reasons contribute to the current fragmented and amorphous presence of Daoism outside the mainland. To begin, the language spoken in China is unique to its country, and taking into consideration the various dialects, the language may possibly be unique to a much smaller region. The unique structure and written form of the Chinese language (as opposed to other languages like Spanish and Italian which share the same root) creates a significant obstacle. It limits the study of scripture to only those passages that have been translated into a non-Chinese persons’ native language. For the most part, the most widely available scriptures represent less than 10% of the Daozang and these have been translated primarily into English. 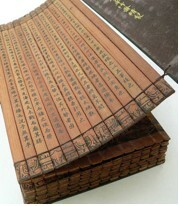 With the DaoZang containing anywhere from 1400 to 1527 titles, it is quickly apparent that the non-Chinese speakers have only been introduced to a small portion of the teachings of the Dao. The second reason is related to cultural context. The Chinese are an ancient people with history that pre-dates many of our modern civilizations. For example, The Dao De Jing is attributed to the Spring & Autumn Period (772-476 BCE) and the first written record of the I Ching is attributed to the Xia Dynasty (2070-1600 BCE); therefore written word regarding spirituality has been present in Chinese culture for over 3000 years. That much history certainly provides an established cultural context within which Daoism developed. Naturally, local customs are reflected in Daoisms’ language, structure, clothing, hierarchy and purpose. A third reason is that China’s geographical location presents serious natural barriers which have slowed the progress of migration. China was well buffered from European civilizations for thousands of years because of the natural barriers formed by Siberia and Mongolia on the North, the Himalayas in the Southwest and the Pacific Ocean in the East. Once transportation methods and conditions were improved itmigration became easier, but by then the Han were well established and developed. The clearest indication of this migration is reflected in the flow of Buddhism from India through Sichuan where it transformed into Ch’an Buddhism towards the coastal regions and then into Japan establishing Zen. These three reasons point out that Daoism’s migration west into the Americas will present its own set of challenges. For example, how can the meaning of Dao and the practice of Daoism remain “pure” or “authentic” once they have been removed from its original cultural context? How will the local language and culture of North America mold the future face of Daoism? These are meaningful questions which deserve to be reflected upon by those who are trusted with the task of making the information available to the public at large. Time is of essence since the changes have already begun. American culture is generally very receptive to new ideas, but American mentality is also very individualistic. People will listen to new ideas but, as reflected in the democratic foundation of the country, people also reserve the right to disagree, sometimes “picking and choosing” only the qualities or characteristics that they like about a subject. This individualistic perspective is contrary to China’s socio-structure where people are born into specific functions or positions within a large scale structure and loyalty is highly regarded. In the USA, the individual approach is reflected in spiritual practice by a rather large group of people who prefer to be called “spiritual but not religious”. If the thought of “spiritual but not religious” and “picking and choosing” is applied to Daoism, what evolves is a free-form interpretation of Daoism which can be translated into a mental justification of not applying the consistency and constancy found in to the higher level practices of Daoism. This is the point, where the practitioners think that they are justified in not “doing the work” because “Daoism is just a philosophy and doesn’t have any real parameters”. Although, Even though according to the Dao, each person is in charge of their own journey, this particular thought process means that Daoism runs the risk of losing part of its traditional heritage as it migrates west. Realistically, this new perspective on Daoism is a global issue. As more countries open their borders and communication is facilitated via the internet, citizens of the World have more opportunities to change “old” ways of thinking and initiate new thought processes. The point is that in any culture, in any religion, even over the course of thousands of years, truths are passed down to the following generations through the sacred writings and teachings of the elders. If one discards them as antiquated or unnecessary, then the valuable lessons they include are also lost. The final aspect of recitation of scripture we will cover is in regards to taming the acquired mind (the wild ox). The acquired mind requires a specific framework within which to begin to reverse its uncontrolled nature. The daily repetition of scripture either within the framework of daojia or daojiao also serves the purpose of providing a concrete method for “returning to the source”. Long time practitioners of Daoism (or any self-reflective meditation practice) realize that the daily reminder of key aspects of developing Daoist thought and behavior create the environment for constant mindfulness. Continuous mindfulness provides the opportunity for deeply understanding our individual behavior and what we must modify in order to return to the source, our true nature. As a consequence, this deeper learning of our selves sheds greater insight to the meaning of the particular scripture, creating a cycle of discovery and understanding. Overall, there are many benefits to reciting scripture. They range from disciplined repetition of scripture to comply with religious protocol to fulfilling the journey of self-discovery; from greater understanding of the teachings of sages to a broader view of the energetic matrix of the Universe and preservation of ancient traditions. Whether or not Daoism changes into a new type of philosophy within the United States or can hold on to the shamanic and religious influences it gained in China will depend on the value the global population assigns to the wealth of information contained within the Daozang and other Daoist scripture. What the future holds, only time will tell. This entry was posted in Illuminating the Dao and tagged Christina Barea, spirit of Dao. Bookmark the permalink.